Just because you live in the city does not mean you cannot enjoy outdoor activities. You may not have the luxury of a backyard shed, a two-car garage or an attic to store all of your recreational equipment, but you can still enjoy outdoor adventures with friends and family. All it takes is a storage unit near San Mateo and you can get outdoors, have fun but still enjoy the urban lifestyle you love. Whether you have camping equipment, kayaks, a canoe, fishing gear, snowboards and skis for the winter, or any other recreational items you can’t use within the city; you need a place to store them. Storage units for rent come in a variety of sizes, so you can find the one that works perfectly for your outdoor sports gear. In a self-storage unit, you can access them any time you want them, yet keep clutter at home to a minimum. · Boots – Wash your outdoor boots in warm water to remove the dirt. Do not use soap. Once they are thoroughly dry, seal the exterior using a waterproof treatment that is right for the type of material your boots are made of. · Gas Stove – Disassemble the unit and clean all parts. Inspect the gaskets and O-rings, then lubricate with oil. Soak the needle and shaker jet in gas to remove the gunk and store away. Make sure you store all parts together so it’s easily reassembled for your next use. · Backpack – Soak and scrub it in a large basin of soapy water. Rinse it with a hose and then hang it to dry. Make sure it is fully dried before you store it to avoid any mildew. · Sleeping Bag – Most sleeping bags can be washed in your home’s washing machine using a gentle detergent. Dry it in a front-loading dryer and add tennis balls (these will help prevent the filling from clumping). Dry cleaners can also do a good job of cleaning it for you. · Tents – Clean your tent well. Roll or fold and pack it in its carrying case. Wrap the tent pegs, struts and all parts together in strapping tape and either put them into the carrying case, or wrap them with the tent if you have no carrying case, so they’ll be readily accessible for your next camping trip. · Hydration Bladder – Scrub it thoroughly with soapy water and then soak it in a diluted bleach solution to sanitize. Rinse clean and dry fully before storing. · Lifejackets – Personal Flotation Devices (PFDs) or lifejackets absorb oil and sun block from your skin. Before putting them away into storage, make sure you clean them with a mild solution of liquid laundry detergent and water, using a soft-bristled brush. Ensure they are completely dry before you pack them away until the next season. · Bicycles – Clean your bike well; make sure dirt is removed from all its parts. Grease the gear chains and gear sprockets. Wipe down any leather parts, like the seats, handles or saddle bags with a light oil and wipe off the excess. Once in the storage unit, you can place the bike in a rack designed for it, or you can hang it by the tires from large hooks from the ceiling beams, if your unit has them. Place your helmet with the bike so it is easily accessible next time you want to ride. 5A Rent-A-Space helps you enjoy your urban and outdoor love of adventure. Not sure how to pack and store all your equipment and gear? Review our FAQs and see what our experts have to say. Are you ready to rent? Contact 5A Rent-A-Space in Foster City at (650) 338-0016 today to find the perfect storage unit near San Mateo, CA. Reserve your unit online now and free up your apartment or urban home’s storage space. If you are unsure of how much space you will need, use this quick “Space Calculator” to get an estimate. Babies are small and cuddly, but they can take up a surprising amount of space in your home. From cribs to swings, high chairs, bouncy chairs, strollers, tricycles, wagons, play mats, changing tables, toys, and more; it is challenging to make room for everything your new bundle of joy needs to be comfortable. If you are getting ready to welcome your first baby, you may need to de-clutter and make space for all of baby’s stuff. While you are going through this process, use the opportunity to get fully organized. That way, you are prepared for your little one and will have the time to enjoy parenting rather than stress over finding what you need, when you need it. If you are clearing out a room to transform it into baby’s nursery, you may not have adequate space in your home to store the items from that room. 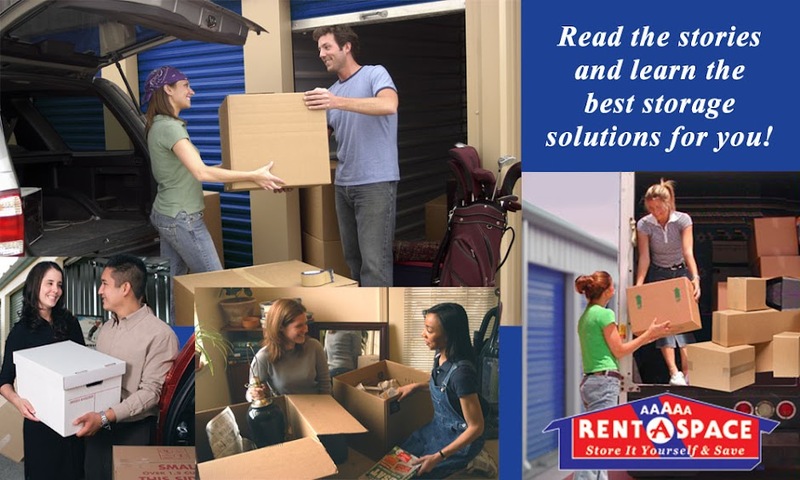 Renting a storage unit near your home in San Mateo is a convenient and affordable solution! You can store boxes of clothes, books, toys and furniture. If you have an older child at home who has outgrown a lot of things, these can be stored for the new baby as he or she grows into needing them. By keeping all of these in storage, you can easily access the items whenever you need them. · Wash Everything – Even if it is brand new, it still needs a good washing before baby can use it. Wash all clothes, blankets, linens, burp cloths, diapers (if you are using cloth ones), and towels in the washing machine using a sensitive formula soap. · Clean Your House – When the new baby arrives, you will not have time or the energy to do extensive cleaning, so do it before hand. If you cannot manage it by yourself, hire a professional agency to come in and give it a deep clean. You’ll be so glad you did! · Stock Up on Essentials – Make sure you have enough of all the essentials for your kitchen, personal care and bathroom, including food that does not expire quickly, diapers, formula, medicines, baby’s and your own personal hygiene items, and any other baby item you will need for at least the first month. Contact 5A Rent-A-Space in Foster City at (650) 338-0016 today to find the perfect storage rental unit near San Mateo, CA. Reserve your unit online now and move your excess furniture and boxes to make space for the new addition in your family. If you are unsure of how much space you will need, use this quick “Space Calculator” to get an estimate. Many homeowners find home renovations daunting. 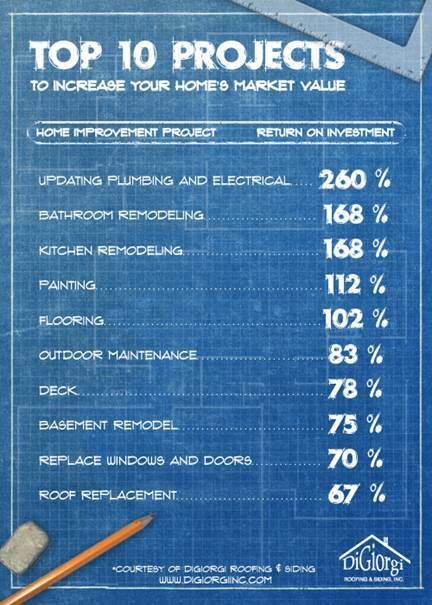 The biggest question often being which home renovation brings the highest sales return? 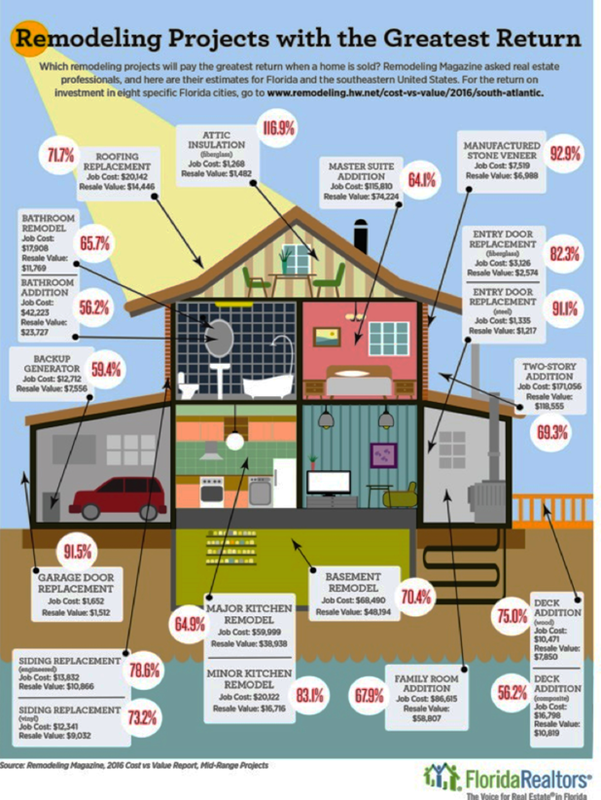 An article in Remodeling magazine, suggest that completing basic home maintenance will always go the farthest with potential buyers. Things such as replacing the siding, roof and windows all ranked higher than the “gourmet kitchen” that is displayed in magazines. According to editorial Director Sal Alfano, “Buyers want to take the basic systems for granted. They assume the roof doesn’t leak and the air condition and plumbing work. 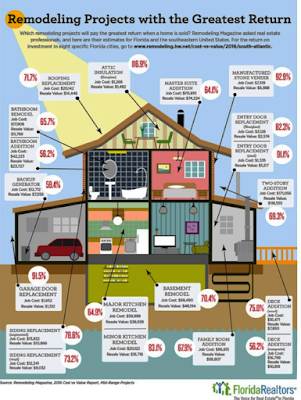 Maintenance can chew up a lot of cash quickly, and people are afraid of that.” (http://www.remodeling.hw.net/) If your general home maintenance is up to date, updating the Kitchen and/or Bathroom will also see high returns. These are typically the most expensive portions of the home to renovate. HGTV also suggests keeping the Curb Appeal of your home strong. Applying a fresh coat of paint, adding new plants or replacing siding will attract buyers to want to walk inside your home. Your home sale return will be bigger if you put in a little maintenance outlay and if you follow these well tested guidelines. For more information on the best improvements to invest in your home, follow the link to this article on hgtv.com http://www.hgtv.com/design/decorating/clean-and-organize/which-home-improvements-pay-off.